This season’s bridal market showed so many figure-flattering trends that we fell in love with. Off-the-shoulder straps, classic bateau necklines, crop tops, lace detailing and more walked the runway. Each bride has a unique vision of how they want to look on their wedding day, and with these new trends, there is something for everyone. 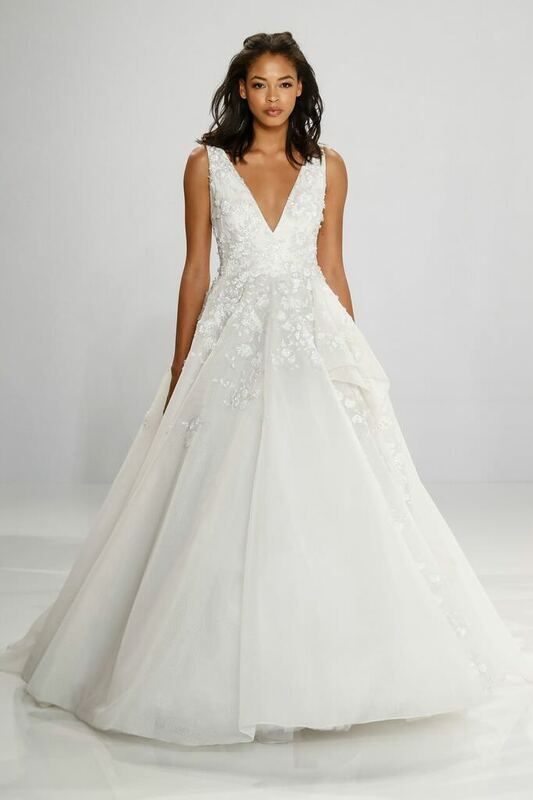 Kleinfeld exclusive designers Christian Siriano and Tony Ward both hosted fashion shows that flaunted their new collections and some seriously stunning trends. Here are the dresses we think you should try from their Spring collections! Brides with hourglass figures typically want to show off their curves in the best way possible. Mermaid style dresses are curve-hugging, and are perfect for your shape! 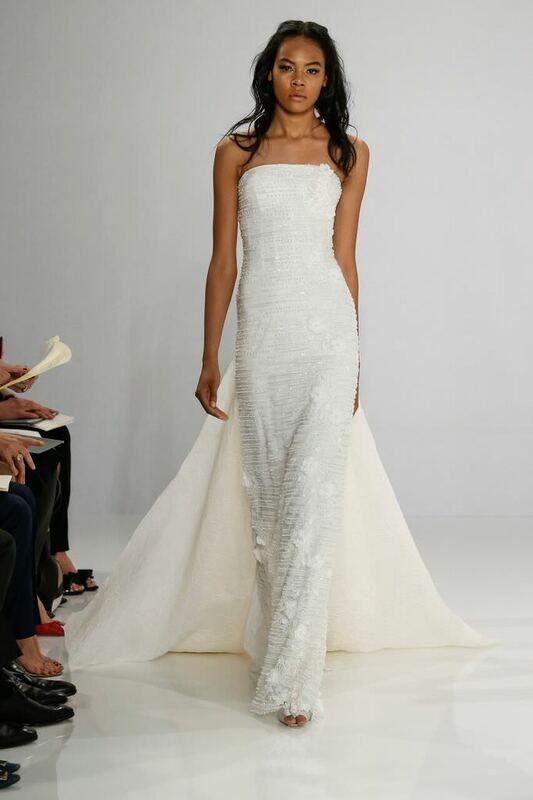 Apple-shaped brides should look to A-line dresses to best accentuate their bodies. With a fuller skirt and a tapered waistline, this shape is super flattering on almost anyone. Dresses that have a drop-waist are perfect for pear-shaped brides. These dresses typically hug the mid-line and hips for a beautiful shape. 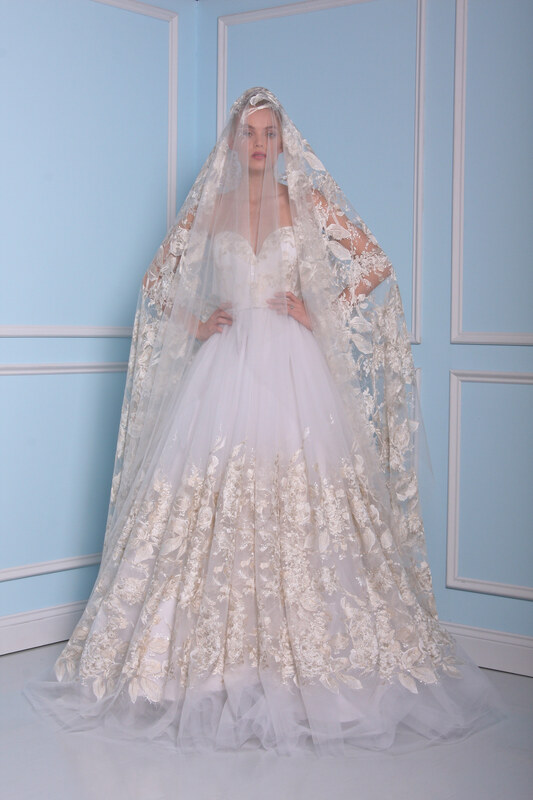 Tall brides look lovely in almost everything! Ball gowns, A-lines, sheath dresses will all be extra flattering. Cropped or strapless dresses were made for brides with an athletic build! They’ll show off your figure in all the right ways. Sheath dresses are best for petite brides. Because they follow the natural line of the body, rather than flaring out, this shape will elongate the body. Obsessed with these dresses? See more from Christian Siriano and Tony Ward @KleinfeldBridal on Facebook, Twitter, Instagram and Snapchat! Or, follow the designers @csiriano and @tonywardcouture on Instagram!